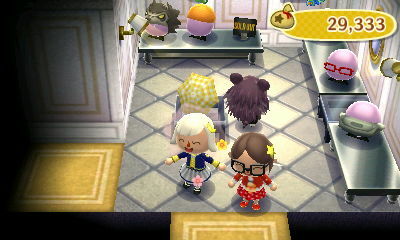 Today’s post is on my first WiFi session with Kammile, a fellow AC:WW blogger! 😀 We had fun exploring each others’ towns, setting off sparklers, and enjoying the fireworks and overall summery atmosphere. After some technical difficulties, I take my first step into the beautiful StarCity! Kammile really makes use of all her pattern slots and knows how to arrange them well. The hedges are so realistic and natural! Though Kammile and I are 12 hours apart, I think we found a good time for both of our towns. Mine was bright and sunny (well, at first it was, as you’ll see 😛 ), and in hers, the fireworks show made up for the lack of sunlight. Yay~ fireworks, presents, and festive music! Such a wonderful atmosphere to enjoy StarCity! Fittingly, I met Kammile’s favorite neighbor first, Gabi, and her greeting was very kind. Hopefully she sticks around! 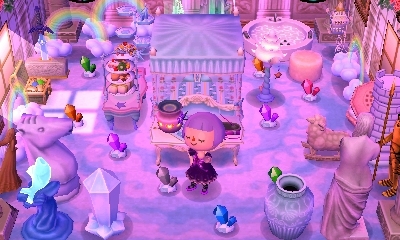 Margie’s cute purple house! 🙂 I love how they all have unique layouts of hedges. Kabuki had an idea for getting into the celebratory spirit of the fireworks festival! Maybe sparkling cider would be better? Kammile was very kind to give me one of her spare jacob’s ladders — thank you!! I think they’d look great in my town (and in my hair 😛 )! Also, I love the crossroads here! Soon, Kammile wanted to come over and see my town as well. I hope I can explore hers more another time, I feel like I barely scratched the surface. How strange it was seeing Kammile without her signature triangle shades! 😮 She had some helpful input about Melody’s bedroom here, and advised that Melody isn’t the most fitting name for this aesthetic… I’ll think about that! Oh no, there’s a hole in the road! 😛 Don’t worry, I did it twice myself when Teru came over. At first the two were evenly matched, but the tarantula started winning, so Kammile and I were rooting for the scorpion (which was getting a little too close for comfort >_>). It was suddenly raining when we stepped out of the museum! So we whipped out some pattern-made umbrellas. I really liked Kammile’s, it was candy-themed I think. On my little island… Wendell’s puddle pattern looks nice with the rain. I was surprised to see a brand new house next to the town hall. 😮 I had a feeling it was someone from Kammile’s town, and it was! Lastly, a quick update on what patterns are popular in Dafdilly at the moment. Peewee is a fan of this purple dress design! Eventually I want to have all petal-inspired patterns in Dafdilly’s Able Sisters, and this is my second one so far. Olivia was the first to try it on. 🙂 I had trouble with it, and still don’t really like it because it’s not obvious that it’s a rose. 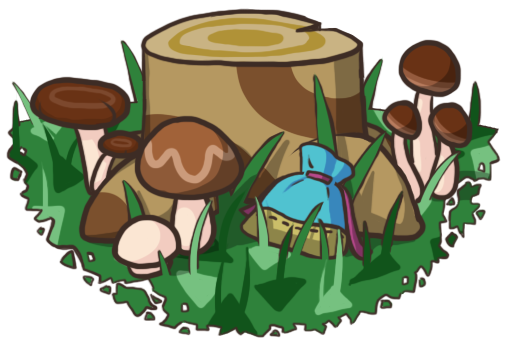 Posted on August 13, 2011 by Amy •	This entry was posted in AC:WW, AC:WW WiFi, Dafdilly and tagged Animal Crossing. Bookmark the permalink. haha, it was! Bed bumping is such a fun little detail the makers added in the game. Yeah, of course you can! Feel free to use any of the pictures in this post if you want. oh m y g o d.